Camping used to be an activity that families did in the summer when school wasn’t in session. 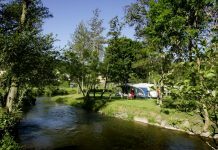 Camping was usually done between the months of May and September and very often associated with Memorial Day and Labor Day. 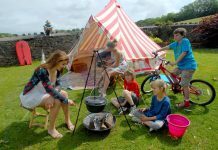 Now, camping is an activity that is literally done throughout the year, in all four seasons. 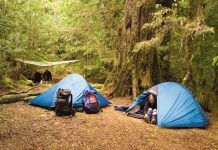 Due to advancements in camping gear and technologies it is very possible to have a fun, successful and rewarding camping experience no matter what time of year. 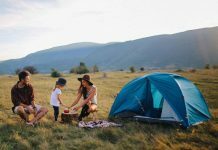 We have compiled a list of camping tips from tips we have received, read and researched from all over the world. 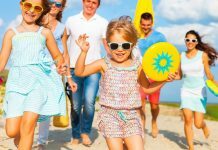 We have taken the tips that were most prevalent and realized these are recommendations that people do not know; these tips are not common sense. So therefore we have put together this list of the top 5 best camping tips we ever gave. Lightning Does Strike Twice. Literally. This is our advice. We have heard from so many campers where lightning struck in a spot near their camp ground or immediate camp site and they let their guard down thinking ‘surely it won’t strike twice in the same place’. It does. If you hear thunder you are in danger of being struck by lightning. Be cognizant of tornado seasons in your camping area. For example in the southern mid-west states the prime tornado season is March through May (however this does not mean Kansas hasn’t seen a twister or two in many other months) and the prime tornado season in the northern states is actually the winter months. Be cognizant that flash floods are a very real threat. Rain in large quantities can result in dangerous flash flooding. Have a plan. Have a plan B and have an escape plan. Make sure everyone in your party knows what to do in the case of a flash flood. Cars can be swept away at 10-12 inches of water and people will be swept away at 4-6 inches of water. Be safe. Bring enough water and bug repellent as well as a first aid kit. Facilitate a meeting spot in case of accidental separation. The woods all look the same and your camp site will look like many other camp sites. The threat of getting lost or a member of your party getting lost is a very real possibility.